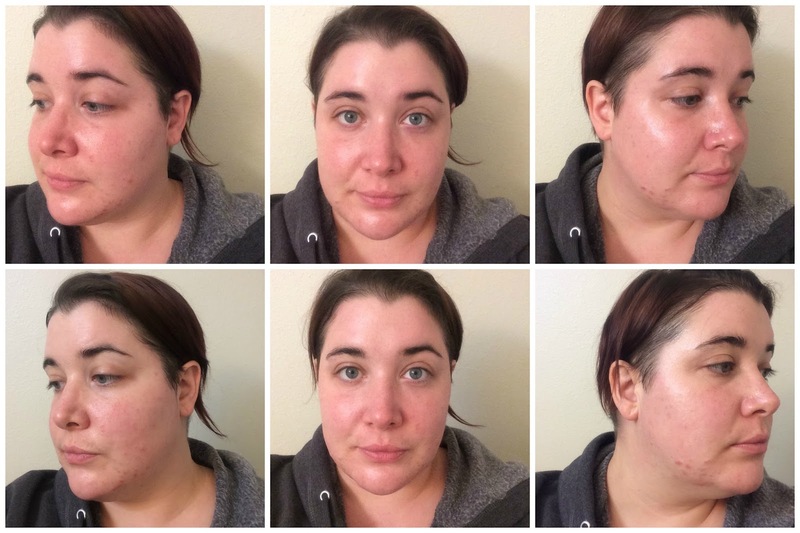 Performance: My skin has been very irritated lately - I'm not exactly sure what is causing it but I have cystic acne on my cheeks and along my jawline. So the test with this mask is soothing my irritated and swollen skin. 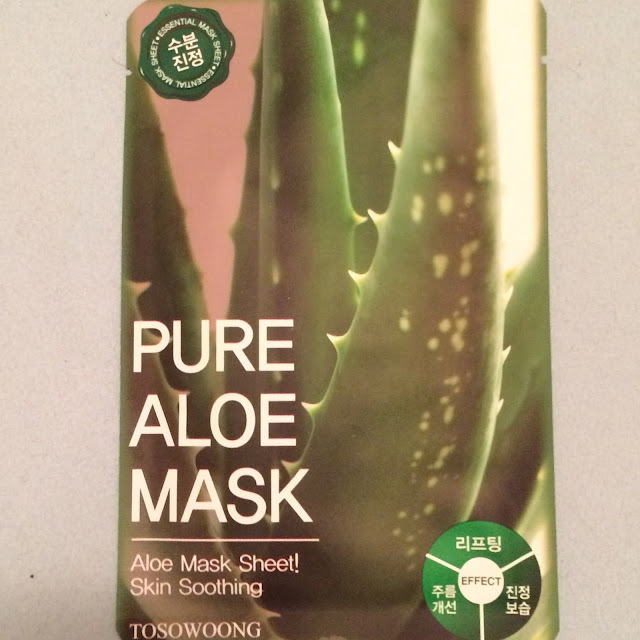 The Tosowoong Pure Aloe Mask has a sweet and fresh aloe scent that is light and very pleasing. 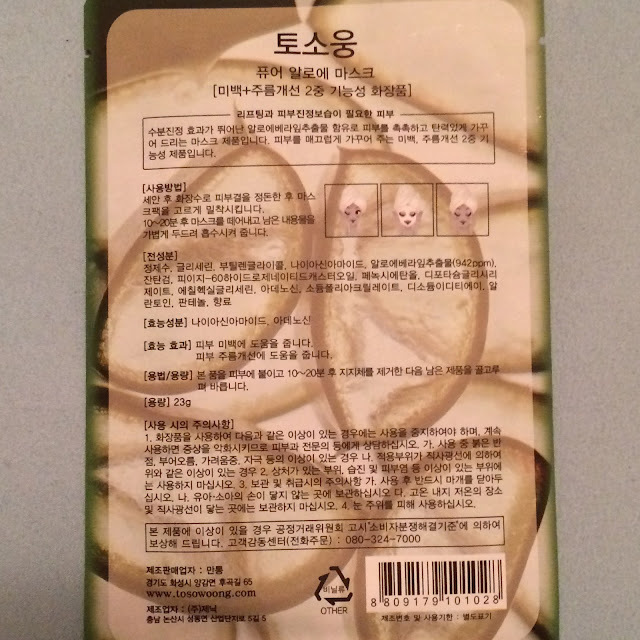 The soft cotton is thick but pliable and fits my face very well - like the other Tosowoong "Pure" masks. 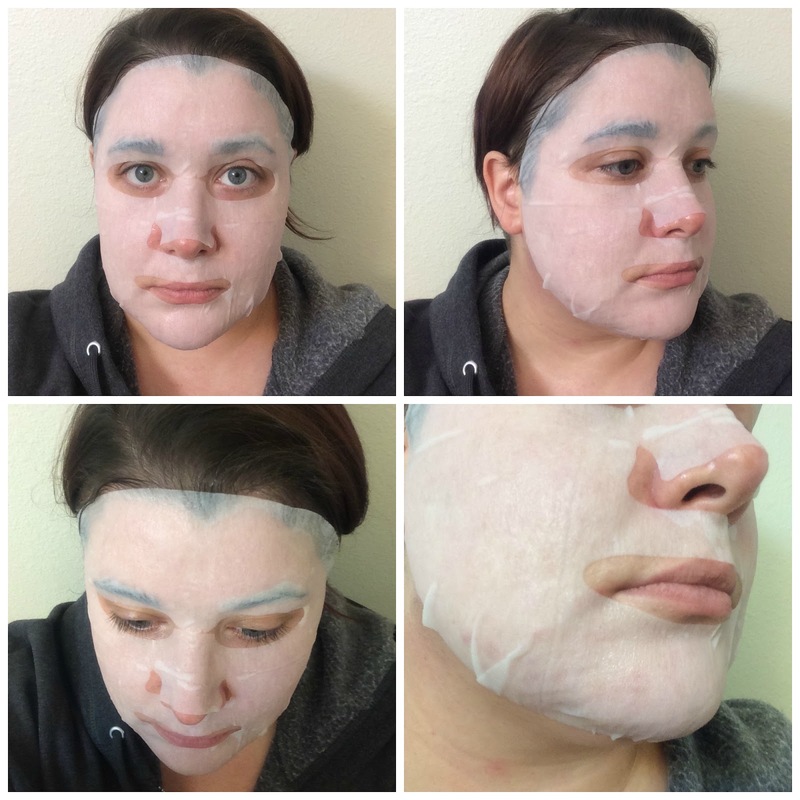 I wore this mask for about 30 minutes before removal, but it was still damp enough to wear longer. It feels very soothing and calming while it is on my skin. Verdict: After removal my face was in much less pain and the swelling had gone done drastically. The lighting in the photos below is slightly different, but hopefully you can tell that the redness in my face subsided as well. These are definitely a win for me.